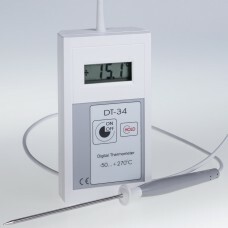 Digital thermometers for food, industry, agriculture, catering, water with probes and internal sensor.Great accuracy of temperature measurement, high resistant to mechanical damage and tightness. 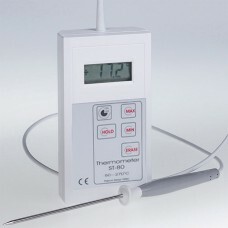 Great accuracy of temperature measurement, high resistant to mechanical damage. 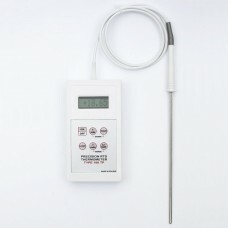 High quality of our devices. 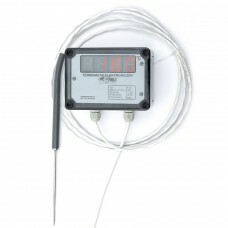 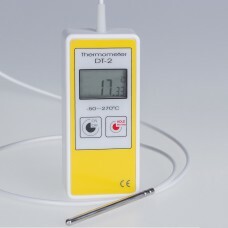 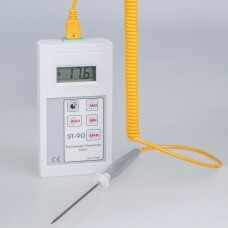 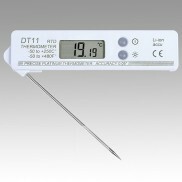 Measuring elements in our thermometers are temperature probes with sensors PT1000, PT-100 and thermocouples type K. Digital thermometers available with customized probes on request. 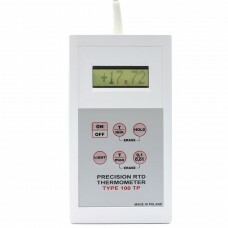 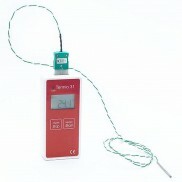 Calibration Certificate to temperature meters on request. Our digital thermometers are eqipped with displays with hold function and low battery indication also most of termoprodukt thermometers have min/max function. 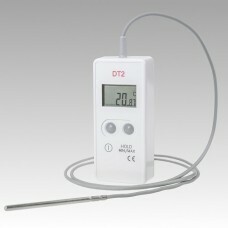 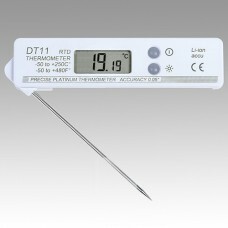 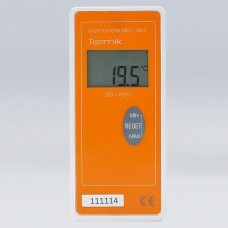 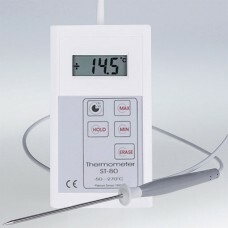 Choose the best digital thermometer from our offer to you. 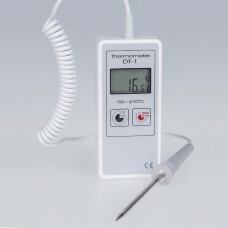 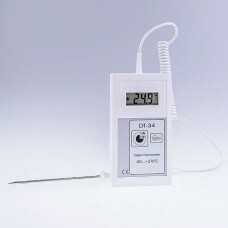 Hard conditions meat food digital LCD thermometer DT-20 can be used to control and measure temperatu..